Piotr Bartłomiej Dardziński was born on 6th October 1972. He graduated from the Jagiellonian University with a master’s degree in political sciences and the University of the Bundeswehr in Hamburg (at the Institute of International Relations). In 2002, he completed his doctoral studies at the Jagiellonian University, Institute of Political Science and International Relations, Department of History of Political and Legal Doctrines. He was a holder of scholarship of the University of Fribourg in Switzerland. Piotr Dardziński worked as an academic teacher at the Jagiellonian University. He thought various classes, including economic policy, economic doctrines and Polish economic thought. From 2000 to 2005, he was an assistant lecturer in the Department of History of Political and Legal Doctrines of the Jagiellonian University, and since 2005 – an assistant professor in the Department of Philosophy of Politics. From 2003 to 2005, he was a lecturer at the Józef Tischner European University in Krakow. 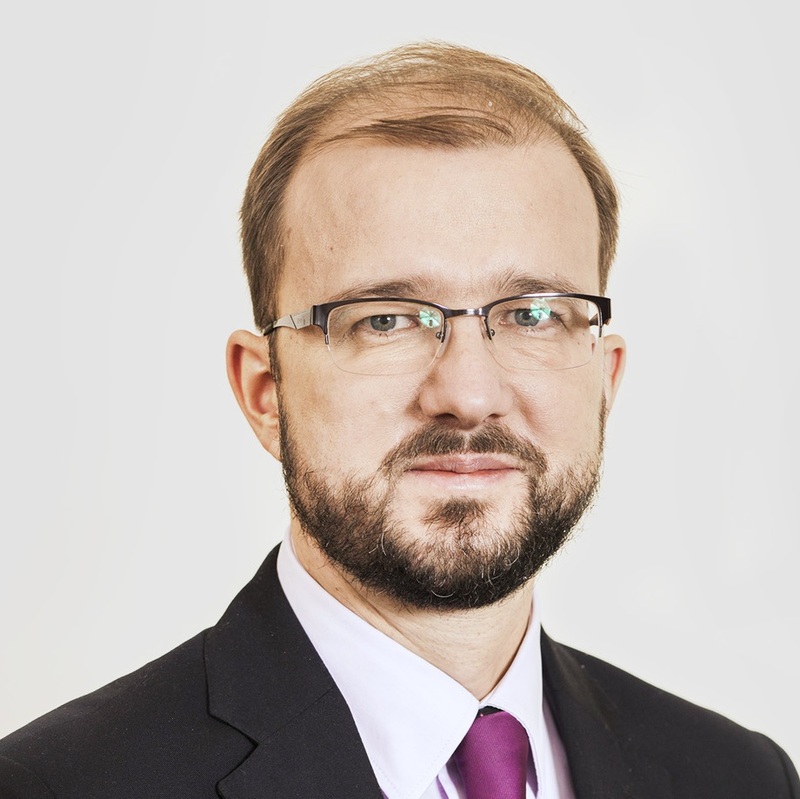 Dr. Marek Dietl, Ph.D., has been the Chief Executive Officer of Gielda Papierów Wartosciowych w Warszawie S.A. since June 19, 2017 and serves as its President of Management Board. He has served on the Supervisory Boards, Audit Committees, Investment (Selection) Committees of more than 20 companies including Atende S.A., Bank Gospodarstwa Krajowego, BSC Drukarnie Opakowań S.A., Mercator Medical S.A., Polish Agency for Enterprise Development, PZU Witelo FIZAN. Arkady Rzegocki is a political scientist and professor of the Jagiellonian University in Krakow. His research interest centers Polish and English political thought, the concept of national interest (raison d'État), as well as the issue of soft power. Educated at the Jagiellonian University in Kraków, he also taught and conducted research in Dublin, Ireland, Denver, USA Oxford, Cambridge, London and Florence. He was a member of academic and civic organisations: EpsNet, Polish Association of Political Science, Polish Association of Political Thought, The Jagiellonian Club, The Center for Political Thought. Since 2009 he has been a member of the Historical Preservation Committee in Krakow (SKOZK). He is the founder of “Pressje” journal and was its editor-in-chief from 2002 to 2011. He speaks English and Russian. Kasia Madera is a BBC World News presenter and one of the main anchors of Newsday. A regular host on many of the other BBC World News flagship programmes, Kasia has 20 years of broadcasting experience, 17 of which have been as a BBC News journalist. She anchored BBC News after the London 2012 Olympics Opening Ceremony when the Channel achieved its highest ever viewing figures. Kasia is an experienced conference facilitator, most recently moderating a panel debate about international human rights which included John Bolton, the newly appointed US National Security Advisor. Kasia also hosts awards ceremonies and since its launch five years ago has always presented the International Association of Press Clubs’ highly prestigious Freedom of Speech Awards. Coming Back to Poland - an Opportunity or a Mistake? Most of the Polish students in the United Kingdom would at least once ask themselves the question: is there any point in me coming back to Poland after finishing my degree? The answer for some is “no” and they pursue incredible career in London, Paris or any other part of the world. For others the answer is “yes” and they come back to their homeland to contribute to the economy, politics, culture and many other areas of development. Clearly, there is no one right answer to this question. However, it is better to make an informed decision and that is what this panel will aim to help the participant with. The senior representatives of private and public institutions from Poland will try to help the students find the right answer to the coming-back-to-Poland dilemma. They will explore the opportunities as well as threats that the students might be facing when developing their career in Poland. We hope that this panel debate will spark further discussions on this issue during the coffee breaks and social events. Aleksandra Janusz is the President of the Management Board of the CIECH R&D company, which leads and coordinates development and research projects for the CIECH’s company businesses. Previously, she worked for investment funds in London, e.g internal fund Goldman Sachs Special Situations Group. Her track record exceeds 1 billion euros. Janusz is an alumnus of the University of Cambridge, where she red Land Economy BA and Real Estate Finance MPhil. Roch Baranowski is a partner based in Bain & Company's Warsaw office. He is an expert in the firm's Advanced Manufacturing & Services and Energy & Natural Resources practices. Throughout his tenure at Bain, Roch has advised clients across Poland, Germany and the Middle East on a wide range of topics, including industrial goods & services, chemicals, power generation and oil & gas. His core capabilities include strategy, corporate innovation and corporate venturing, trans-border operating models, exit planning and commercial due diligence. He is also deeply versed in pharmaceuticals and biotechnology. Prior to initially joining Bain in 2012, Roch served clients through senior roles at other top consultancies. He holds a master's degree from Freie Universität Berlin and a diploma from the University of Chicago. Mr. Pawlak is currently a member of the BGK Real Estate Department Management Board. As the President of BOŚ Eko Profit S.A., he created tools of complex investment support based on one-stop-shop principles. Previously, he cooperated with the PKO BP S.A. Group, being in charge of restructuring and creating a new operational management model, and with PGNiG S.A., where he implemented a strategy in the area of commercial activity consolidation and foreign upstream ventures. He has also been a manager in international consulting companies (Arthur Andersen and Ernst & Young), where he was responsible for providing services for Polish entrepreneurs. A graduate of the University of Warsaw, Executive Studies in Finance and Postgraduate Studies of Foreign Service, Mr. Pawlak is the recipient of scholarships from the Herbert Hoover Institute and the Woodrow Wilson Center for Scholars. Krzysztof Szubert is a Former Secretary of State and Deputy Minister of Digital Affairs of the government of Poland and Government Plenipotentiary for the Digital Single Market. He is a member of the Multistakeholder Advisory Group (MAG) to the Secretary-General of the United Nations. From 2012, he served as Minister of Digitization in the BCC Economy Shadow Cabinet. In the past, he has served as a member of the Digitization Council at the Ministry for Digital Affairs, Strategic Advisor to the Minister in the Ministry of Digital Affairs and Plenipotentiary of the Minister for International Affairs. From 2016, he served as a member of the ‘eGovernment Steering Board’ at the European Commission. From 2018 he serves as a Strategic Advisor of National Research Institute NASK and Special Advisor (Digital Strategies) of FIPRA International Brussels. He is a Visiting Fellow at University of Oxford and a Senior Member St Antony’s College. It has been at least 60 years since the first Polish student society in the United Kingdom was formed. What began as a small group of students and academics in exile trying to find a secure space to discuss Polish issues has evolved into five annual conferences, at least 40 different student societies, and a network comprising thousands of students. The development of our community is unparalleled among other student national minorities in the United Kingdom. The great enthusiasm surrounding the expansion of the Polish student community rarely gets a critical perspective. There is no better place to reflect on the state of the PolSoc than the Congress. The Congress Publication gathered diverse voices considering the past, the present, and the future of Polish student societies in the UK. On top of contributing their great essays, some of the authors will take part in the first panel debate of the Congress to further explore the problems and opportunities that PolSocs are facing. Mateusz Kusio is DPhil candidate in Theology at the University of Oxford where he has been studying since 2012. 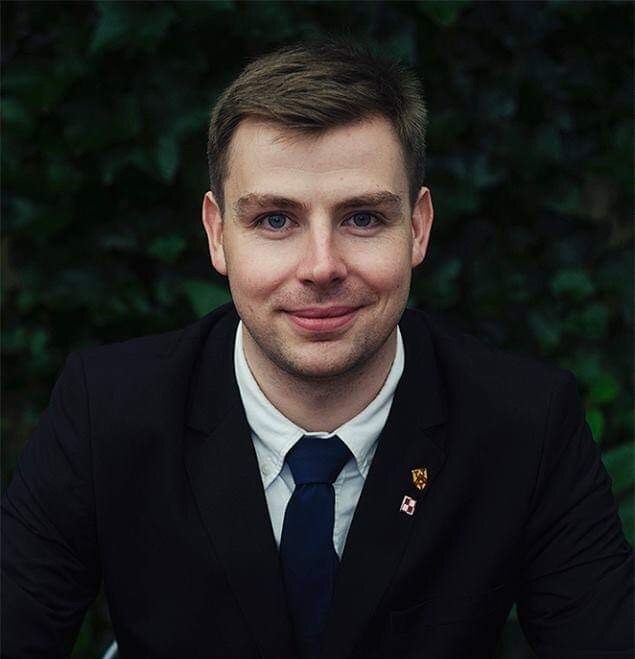 He co-organised the 2014 VII Congress of Polish Student Societies in the UK in Oxford. Between 2014 and 2015 he was the secretary of the Oxford University Polish Society. 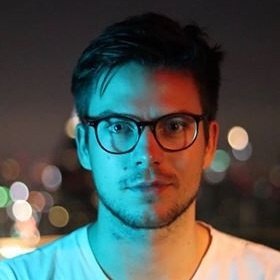 Tadeusz Kolasiński is a graduate student at SciencesPo Paris, and an affiliate student at Sorbonne Paris I and Columbia Law School. He is a founding member and former President of the Association des Polonais de SciencesPo organising annual Paris Polish Forum conference. Martyna is Economics graduate from the University of Edinburgh. During her student years she became actively engaged in building polish community in the UK. She was the Project Leader of Poland 2.0 conference (2016), the President of Edinburgh University Polish Society (2016/17) and the President of Federation of Polish Student Societies in the UK (2017/18). She's currently working in Investment Banking Division at Citi covering Tech industry in particular. 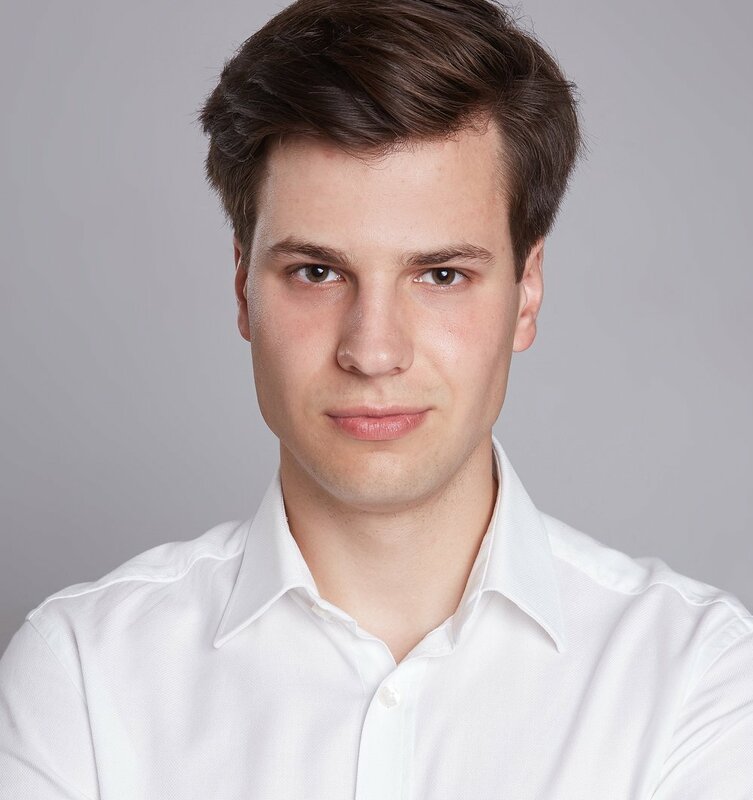 Karol Kras is an alumni of the London School of Economics where he presided over the LSE Polish Business Society in 2016/17. As a film producer, he worked for Vice and for Netflix on its first Polish production, “1983”. He also worked in Iraq creating a media communication strategy for an NGO focusing on the reconstruction of the war-torn city of Mosul. Brexit and Poland - Friends or Foes? Brexit means Brexit. But what is Brexit? A divorce followed by a friendship kindled by memories of a relationship that lasted 46 years, or rather a brutal separation and fight on who gets to keep the dog. Undoubtedly, it’s an exciting time to be a student in the United Kingdom and eyewitness how historic decisions are made. As a Polish community, we are particularly concerned with the impact of Brexit on Poland and Polish citizens. This panel aims at equipping participants with a holistic view of the possible outcomes of a British divorce with the EU. Our speakers will do their best to create a heated discussion by putting forward controversial arguments and unexpected points of views. Feel very welcome to “Connect in Congress” by joining this international debate. Marek Matraszek was born in the UK and studied at Magdalen College, Oxford, where he graduated in Philosophy, Politics and Economics in 1984 and obtained a Master’s degree in Russian and East European Studies in 1987. He co-established CEC in the early 1990s as the first Western-style public affairs boutique consultancy in the region, and since then has grown the Warsaw office of the company into the leading public affairs and political communications agency in Poland. Today he specialises in designing and implementing strategic communications and lobbying campaigns for major US, UK and European multinationals in Poland, and advising on their political strategy in the Central European region as a whole. Marek is a regular commentator on Polish politics for Polish Radio, the BBC, CNN, CNBC and other media outlets. Daniel Kawczyński MP is the first British MP born in Poland. He was brought up in Surrey from the age of 7 and studied Business with languages at Stirling University. He worked in the telecommunications sector before being elected a Member of Parliament for Shrewsbury and Atcham in 2005. He has sat on multiple committees, including the Foreign Affairs, International Development, and Environmental Select Committees. In the last Parliament he has also served as the Prime Minister David Cameron’s Special Advisor to the Polish and Eastern European Diaspora in the United Kingdom. He is a prominent advocate for Poland in the UK, and a frequent contributor of the British Polish Chamber of Commerce and the Krynica Economic Forum. Stefan Kasprzyk is a former Mayor of Islington, born and raised in Islington borough. Having been an active member of the community for many years, he has been serving as the member of the borough council, deputy mayor and eventually as the „borough’s first citizen”. Why and How to Speak about Science? Science popularization is an inherent part of scientists’ work and a great responsibility towards the society. Nonetheless, many easily-avoidable mistakes are made in communicating science to a broad audience. The panel discussion will aim to answer the question how and why should we popularize science. Educating the society is equally important with the research itself, in order to make people realise the importance of science in everyday life. The challenge is to choose mass media efficiently and engage the biggest audience possible. Should scientists be the main group of science popularizers or should media, journalists and students play a bigger role? The debate will touch upon benefits that popularization brings to the society and to the scientists themselves. Our distinguished guests will hopefully share their outlooks on promoting science in different settings as well from different perspectives which will provide the audience with deep insights about science outreaching. Dr Joanna Bagniewska is a zoologist specializing in behavioural ecology and invasive species research, as well as the use of technology for studying wildlife. She has worked on a number of species, ranging from wombats and wallabies to mole-rats and jackals. Joanna is passionate about science communication, having won British Council’s FameLab Poland and the Wellcome-funded “I’m a Scientist, get me out of here!”, given a TEDx talk, organized popular science conferences and even performed at science stand-up comedy events. She has collaborated with the Discovery Channel, Focus Magazine, Tygodnik Powszechny, and Gazeta Wyborcza. She currently splits her time between working as a Teaching Fellow at the School of Biological Sciences, University of Reading, and doing communications and public engagement for Oxford University's Paediatrics Department. During her time at Oxford, she presided over Oxford University Polish Society; she was also involved in organising a number of early Congresses. Ewa Bartnik is a Professor of Genetics at the University of Warsaw. She is also a member of the Bioethics Committee of the Praesidium of the Polish Academy of Sciences since 2015. Her current research interests involve the role of mitochondria in human diseases and aging; previous research concerned DNA methylation, regulation of gene expression in mitochondria and mitochondrial DNA mutations in cancer. She has been Member of the UNESCO International Bioethics Committee (2010-2017) and PISA Science Expert Group (2006-2009). In 2008, she coordinated the programme of reforming the science curriculum in Polish schools. Katarzyna Gandor is a popular science youtuber, blogger, former model and a biotechnology student. She is an expert in using social media to popularise science. Her story-telling talent helps her put puzzling and complicated scientific topics in simple words, making science understandable and available to a broad audience. In her videos, she addresses current issues like air pollution and vaccines as well as ethical conundrums that science has to deal with. Her videos are abundant in humour and eye-catching animations which so far attracted over 130 000 subscribers to her channel! Piotr Cieśliński gained his physics degree from the Univeristy of Warsaw. As a former physicist, he has a huge insight into the world of high-level science. For over 20 years now, he has been sharing his broad knowledge writing popular-science articles as a Chief in editor of scientific division of “Wyborcza” newspaper. In his career, he conducted interviews with Nobel Prize and the Fields medal winners. In 2005-2006 he was a scholar of Knight Science Journalism Fellowships in MIT (Cambridge, USA). Does Cultural Memory Determine Our Identity? This panel will take you on a time travel starting from the most recent times and then moving back to March 1968. The story of the world-shacking 1989 when Poland transformed to the fully sovereign, democratic state, and the contemporary history of the Third Polish Republic will raise questions about the assessment of transformation, its implication on current politics and presence of the transformation narrative in the public sphere. Which event was the beginning of democratic opposition - was it August ‘80 or maybe the protests of December 1970? The panel will touch upon the always present public debate on whether political and religious anniversaries should be combined. We’ll talk about the story of March 1968 and the memory of both left and right-wing opposition in PZPR - the Communist Party of Poland. 1968 is remembered as the year of student protests - but was this a protest against the system or a critique of how the Marxism ideology was being applied in Poland? Congress Panelists will link March ‘68 to current events and to the narrative that qualifies national memory in the categories of Jews, atheists, former members of communist party and immigrants. A sociologist, Latin America expert and journalist, Mazzini is an alumnus of International Politics with Spanish at the Aberystwyth University (2013) and Latin American Studies at the University of Oxford (2014). He currently realises a project analysing the common memory of Poland and Chile at the Polish Academy of Science. He also works as a correspondent of ‘Polityka’ weekly in South America as well as a reporter of ‘Gazeta Wyborcza’ and ‘Tygodnik Powszechny’. 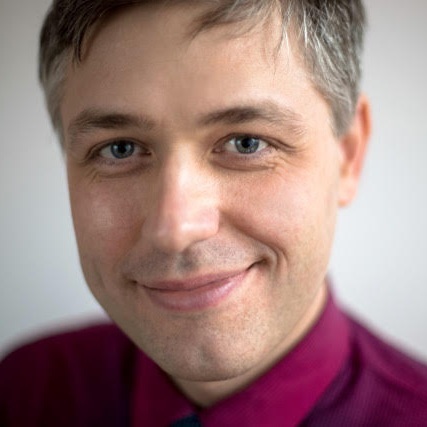 Co-Director of the project "Knowledge Bridges Between Poland, Britain and Europe" at St. Antony’s College, University of Oxford, and assistant professor at the Faculty of Law and Administration, University of Warsaw. He is the editor-in-chief of the Polish political and cultural weekly Kultura Liberalna. Former visiting scholar at the University of Chicago Law School and Columbia Law School and Marie Skłodowska-Curie Fellow at SAXO Institute, University of Copenhagen. Since 2004 Marek Cichocki has been the Curriculum Director of the European Centre in Natolin as well as editor-in-chief of the magazine “New Europe. Natolin Review”. From 2007 to 2010 he served as a citizen advisor to the President of the Republic of Poland and Sherpa for the negotiations of the Lisbon Treaty. Since 2003 Cichocki has been also an annual publisher and editor-in-chief of the “Teologia Polityczna”. He is a permanent professor at the Collegium Civitas in Warsaw and visiting professor at the College of Europe Natolin. Mr Cichocki is the author of many books, essays, articles and dissertations on international relations. 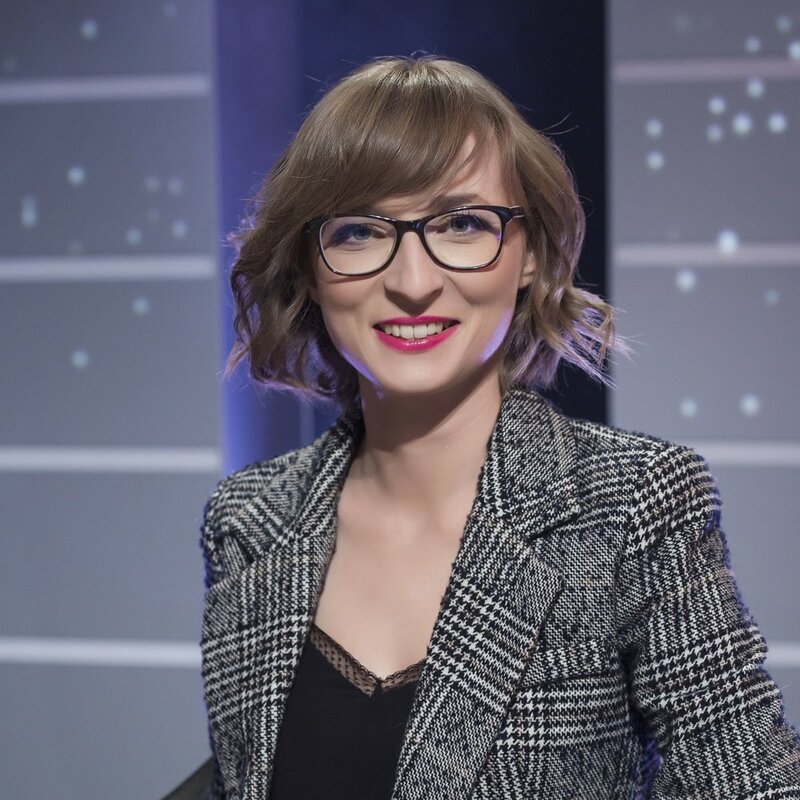 Graduating with a Philosophy Master’s Degree from the University of Warsaw as well as an MBA from the Warsaw School of Business, Barbara Schabowska is a Polish radio and television journalist. For 10 years (2007-2017) she has been a journalist of the Second Polish Radio Program, specializing in philosophical programs and music journalism. She is also the host of the “Pegasus magazine” (magazyn Pegaz) and the “Classic Stage” (Scena Klasyczna) at the TVP Kultura. From September 2017 Barbara Schabowska has been the director of TVP Kultura and from June 2018 - a member of the Program Council of the Book Institute. The Strive for an Equal Society. Is 500+ Programme a Way Forward? While the discussion on 500+ is dominated by political wrangling, we often fail to consider the merits of this and similar solutions. This panel debate will be focused on attempting to answer the questions: whether we need a program based on distribution of money? Should we instead provide educational and cultural equality? Is financial help a long-term solution? Apart from discussing these general problems, the debate will put an emphasis on the specific context of Poland, namely the history of the inequalities, their character, level of social mobility and previous struggles to decrease it. The guests will also touch upon non-governmental efforts to eliminate the striking phenomenon of inequalities and the examples of tackling the problem in other countries (mainly United Kingdom). Hopefully, the participants of the debate will share their opinions on what Poland needs and what is wrong (if anything) with the implemented program. Janina Ochojska is a renowned Polish humanitarian. She co–founded the Polish branch of the EquiLibre Foundation in 1989. Three years later, she organized a convoy of twelve trucks transporting aid to the territory formerly known as Yugoslavia. In 1994, she founded the Polish Humanitarian Action, of which she became the president. In recognition of her merits, she has been awarded numerous rewards such as The Woman of Europe Award (1994), Pax Christi International Peace Award (1995) and Legion of Honour (2003). Bartosz Marczuk is a manager with experience in administration and communication as well as an expert in the field of social policy. 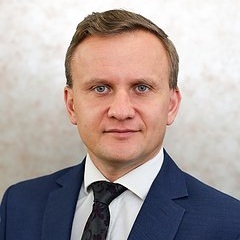 In 2015, he was appointed the Undersecretary of State in the Ministry of Family, Labor and Social Policy, Bartosz Marczuk successfully implemented, among others, the 500+ Program, the Good Start Program as well as developed a network of institutions for a small child care. While working in the Ministry, he was a member of the Committee for European Affairs, the Council of Housing (the Mieszkanie + program) and the team for the elaboration of the "Immigration Policy of the Republic of Poland". Marczuk served as an expert on social policy at the Sobieski Institute, he also belonged to the Team of Experts of the Union of Large Families 3+. He was a co-author of the Government Family Policy established in the years 2006-2007. Marczuk is the author of two books and the winner of the Economic Award of the Union of Entrepreneurs and Employers, the Krzysztof Dzierżawski Award, the National Day of Life Tulip and the Acute Pen Award. Paweł is a Research Economist at Centre for Economic Performance and Guest Teacher at the Department of Economics, London School of Economics. In 2016 he obtained a PhD in Economics from Central European University (CEU). He is also a senior expert at the European Expert Network on Economics of Education of the European Commission. Over the course of his career he has taught at LSE, CEU and the University of Warsaw. Paweł’s current research interest is concentrated on labour market inequality. In particular, on income inequality, rent sharing, domestic outsourcing, equality of educational opportunity and social mobility. He has published in top field peer-reviewed economic journals and his research has been covered by the main Polish and international media outlets. Marcelia Zawisza is a politician, a feminist and a co–founder of the Razem political party, in which she serves as a member of the National Management Committee. In recognition of her accomplishments in the field of feminist activity, The Forbes indexed her in its ’30 over 30’ list in the category ‘law and politics’. Go4Poland – Wybierz Polskę! ( Go4Poland – Choose Poland!) is the program targeting Poles who study abroad and it aims to show them career opportunities that are waiting for them back in Poland. Go4Poland – Wybierz Polskę! is the platform for contacting and exchanging information, as well as building relationships between students and the business community. By signing in to the program, Polish students can apply for internships that are posted on the website “Go4Poland.pl”. Moreover, they can attend workshops organised by the partner firms and participate in the Go4Poland conference. All of these activities are organized in the time convenient for students when majority of them are back in Poland for their holidays. The program provides practical knowledge transfer through internships which are essential for widening theoretical knowledge and smooth transition from the education market to the labor market. The organizer of the Program is the Warsaw Stock Exchange Foundation. In terms of implementing the Program’s objectives, the WSE Foundation cooperates with the business and admninistrative institutions, as well as with the student initiatives such as student societies and associations which promote the idea of returning to Poland and building a professional career in the Polish companies and the public administration institutions. The program is open to the Polish students and graduates of foreign universities from all over the world including students participating in student exchanges at foreign universities, as well as Polish students coming from Polonia. Polish Development Fund (PFR) offers financial and consulting solutions for exporters, SMEs, start-ups and local governments. We have a special program directed to young entrepreneurs on 3 levels of product development – idea for a business, development of existing companies and planning to expand globally. Whenever you need funding from Venture Capital, want to access an acceleration program or consult your business idea, we have an offer for you. Eliza Kruczkowska is a Chief Innovation Officer at Polish Development Fund. She used to be the CEO of Startup Poland, a grassroots organization aimed at helping build better conditions for Polish startups. Kruczkowska has extensive experience in politics, PR, and media, as well as NGOs. In the past, she has worked abroad in Madrid at Internet Advantage, London at the Evening Standard, and in Munich at Lewis PR. She has served as the head of media relations for a member of the Polish Parliament and has a background in journalism and international relations. Most recently, she served as the director of communications for the ePaństwo Foundation, an NGO that releases public data and runs initiatives, such as Code for Poland.